Three ballet performances: Serenade, New Creation and La sacre du printemps. Timeless. George Balanchine arrived in America in 1933. His homeland was far behind him; he had escaped from Russia in 1924. He could not really go back to Europe. He was a ballet choreographer, and hardly anyone in the United States could dance ballet. He didn’t have a company. He opened a school. When he set out to make a ballet for it, SERENADE, precious few could handle soloist-level choreography. Over the years, he revised and re-revised his ballet, adding sections and pas de deux. The final version features five solo roles. The three female dance roles - the Valse Girl, the Dark Angel and the Russian Girl - are the dream of every ballerina. As a choreographer, Balanchine is famous for making works that could be interpreted as abstract. SERENADE was a masterpiece and went on to become one of the 20th-century’s most feted works of the classical repertory. “I directly feel it projects a story about hope.I have personally experienced his work at the Marika Besobrasova Academy of Princess Grace in Monte Carlo. Back then, in 1995, I thought that the beauty of the movement made each person listen to this remarkable music of maestro TCHAIKOVSKY differently. Dancing Balanchine’s ballets means moving bigger, faster, and the ballerinas definitely must pull together in order to harmonize with one another. Mr. B. made the corps de ballet members dance as individuals,” says Filip Barankiewicz, artistic director of the Czech National Ballet. The Israeli choreographer and artistic director Emanuel Gat is considered one of the most exciting contemporary dance creators. He has conceived new pieces for companies around the world, including the Paris Opera Ballet, Sydney Dance Company, Tanztheater Bremen, Le Ballet du Grand Théâtre de Genève, Ballet de Marseille, the Royal Swedish Ballet, Polish National Ballet, Ballet de Lorraine and Cedar Lake. “When forming his ideas and images within the creative process, Emanuel Gat draws upon a loose conception, affording the dancers the freedom to make their own choices. 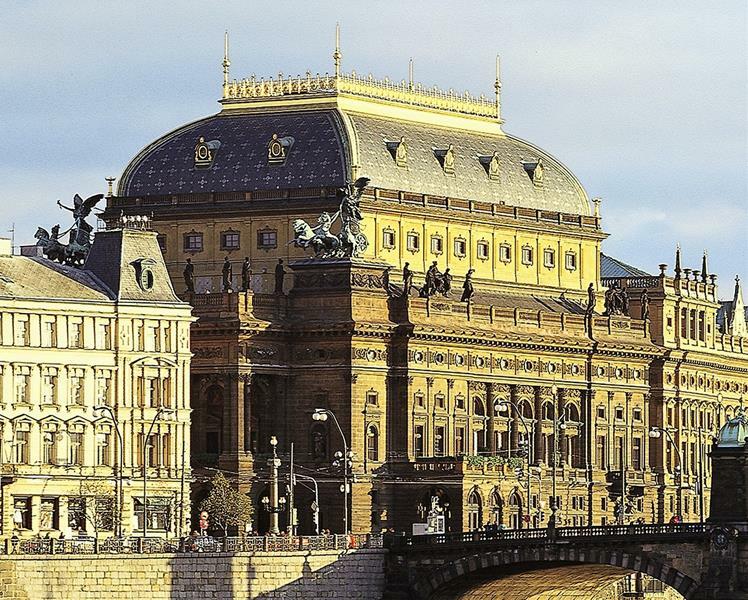 As a result, the timing of the improvisation is discovered anew during every single performance,” says Filip Barankiewicz, artistic director of the Czech National Ballet. Glen Tetley is one of the 20th century's most renowned and respected choreographers. His dance vocabulary is a fusion of classical and modern phrasing. The expressive body language became the extraordinary hallmark of a new contemporary movement form. Mr. Tetley has created over 50 ballets for the world’s leading dance companies. The Rite of Spring was originally made for the Bavarian State Ballet in 1974, set to Igor Stravinsky’s orchestral piece, written back in 1913 for Sergei Diaghilev’s Les Ballets Russes season in Paris. As in numerous other productions, Tetley’s lead character represents the Chosen One, the Victim of the Rite. The theme could be the sacrifice of a chosen person who is the incarnation of human hope, guilt and suffering. He is killed but also reborn with the spring, and he represents the hope and promise of a new life. The explosion of energy throughout the whole action is difficult to describe. Tetley’s choreography reflects the vitality and driving force of Stravinsky’s music, maintaining the passion, dynamic pulse, sensual power and vigorous human nature. Definitely a stamina challenge for the dancers.